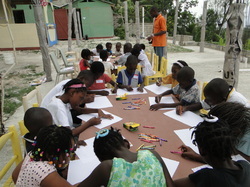 Caring for Orphans - To Love a Child, Inc.
We do what we can but it is not enough. This orphanage has 22 children. Under the care of their kind and loving caretakers, the children fill their days with school, prayer, chores, and play. As soon as you walk through the gate you can feel the love at this orphanage. The children are well behaved and the caretakers are proud of each and everyone one of them. To date, we have been able to provide hygiene supplies, food, school supplies, clothing, shoes, p.j. 's, books, mattresses, medical care and a few other basic supplies. They need so much more. : Money for rent, school fees, medical care, food, and basic supplies. If you can find it in your heart to help these wonderful children please contact us. Thank you so much for your consideration! Write directoratTLC@toloveachild.org to get involved.